We are looking for a few wonderful people who have some afternoons and want to volunteer in our library! Would you like to volunteer in the library in the afternoons 1 or 2 days per week from January 16 – May 18? 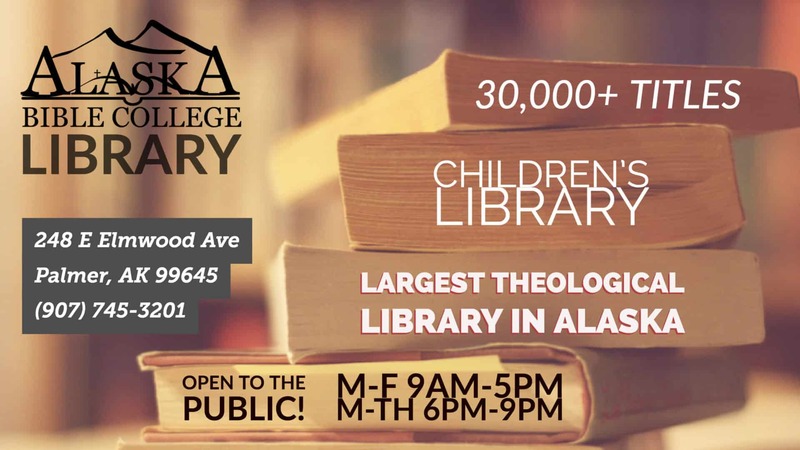 If you’re interested in being around a super fun community, please read our Statement of Faith and give us a call 907-745-3201 or email us at info@akbible.edu! Our librarian, Noël, is excited to hear from you!